With his win yesterday, James moves onto spot #6 on our ToC Tracker. Online testing finishes today at 8 PM Pacific! 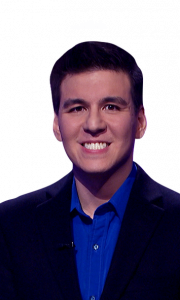 Make sure to register at jeopardy.com before 6 PM Pacific, and log in well in advance of test time! You can find Tuesday’s and yesterday’s questions here! Correct response: Who is Jane Fonda? On the heels of her 1981 #1 bestseller Jane Fonda’s Workout Book, she released the 1982 VHS video Workout, which sold over 17 million copies (sales levels rivaling those of Disney movies). She later released Jane Fonda’s New Workout in 1986 and Jane Fonda’s Low-Impact Aerobic Workout in 1987. Fonda was married to media mogul Ted Turner for a time; they divorced in 2001. An average of 2.9604 5+-time champions (standard deviation 1.4938). An average of 4.6353 4+-time champions (standard deviation 2.0605). An early cutoff took place 4.101% of the time (or a 5-game winner will be left out). Eric R. Backes qualified 83.499% of the time. Anneke Garcia qualified 58.570% of the time. Lindsey Shultz qualified 26.619% of the time. Dave Leffler qualified 5.818% of the time. Jonathan Dinerstein qualified 0.423% of the time. 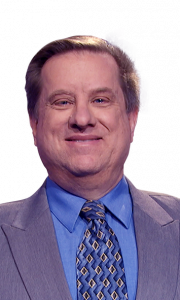 As things currently stand, James is only the 5th player to have a “Net Earned on Daily Doubles” amount over $100,000 (Ken Jennings ($454,399), Matt Jackson ($147,795), Roger Craig ($117,000), and Austin Rogers ($105,700) are the other four). 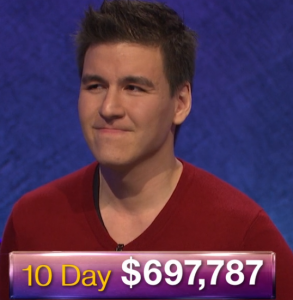 With James missing Final Jeopardy, today, Ben Ingram’s record of 12 consecutive correct Final Jeopardy! clues stays intact. 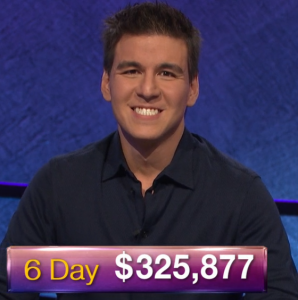 James is now 6-for-7 on True Daily Doubles. Effective in first on buzzer stats: James 51.06% (24/57), Lewis 25.53% (12/47), Stephanie 20.37% (11/47). 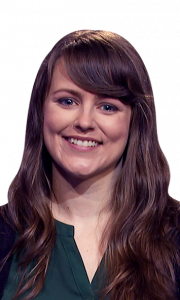 18 Comments on "Today’s Final Jeopardy – April 11, 2019"
I bought the video she made so this was easy. My mom had the record. The FJ! clue is not accurate. While Fonda’s 1982 workout video was a huge hit, it alone did not sell 17 million copies. She had over 20 more subsequent releases over the next several years that totaled over 17 million sold. James is so young, but he knows so much about so much, I’ll bet he gets this too. Another variable working against James, at least today…his age. Today’s final was pretty easy for those of a certain age, like Kathy and me(sorry Kathy…I’m sure I’m older than you! )….not surprising Lewis was the only one to get it. I don’t have any stigma about my age. I’m 72. Just did a quick search and there are multiple sites saying that the 17 million figure is for all of the videos, not just the first one. First sign of vulnerability by James. Had he gotten even the 5K DD wrong, Lewis would most likely have won, being the only player getting FJ right. I guess being the oldest player (judging from the tape) was an advantage here. With Madonna we are talking records and CDs. For some reason I knew that the first Madonna album came out in 1983, so it couldn’t be her. Thought maybe Cyndi Lauper, but I just looked it up and that was the same year. Didn’t even occur to me to think of something other than a music video. Weird that they had that Turner Classic Movies category and Jane on the same day. 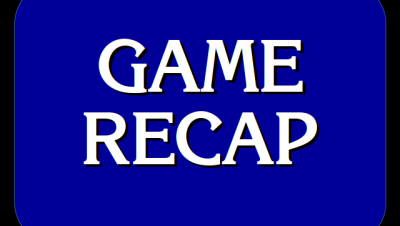 I’m a casual Jeopardy Fan and wish I could see more episodes but have work conflicts. Maybe this is oft discussed: is buzzing ability or knowledge more important? I saw Lewis got every chance correct but didn’t win does that happen often (no misses but non-winner)? Will they cancel Jeopardy! if James keeps getting 100K wins, bankrupting the budget and making it impossible to pay out future contestants? Would you happen to know if the winner of the National Geographic on-line “Fantasy League” All Star Game Tournament was announced? I ended up with 150 points, my players were Ken, Larissa and Alex. I never was able to find out who the lucky winner was or when NG would be drawing the winning ticket. Thanks! The winner is announced on the April 12 episode.